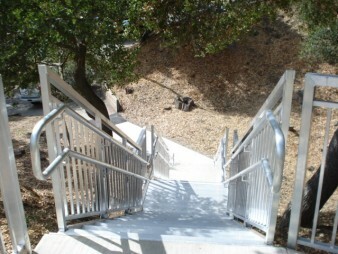 REDD Team Universal Stairs are constructed of fabricated aluminum and meet a wide range of codes. 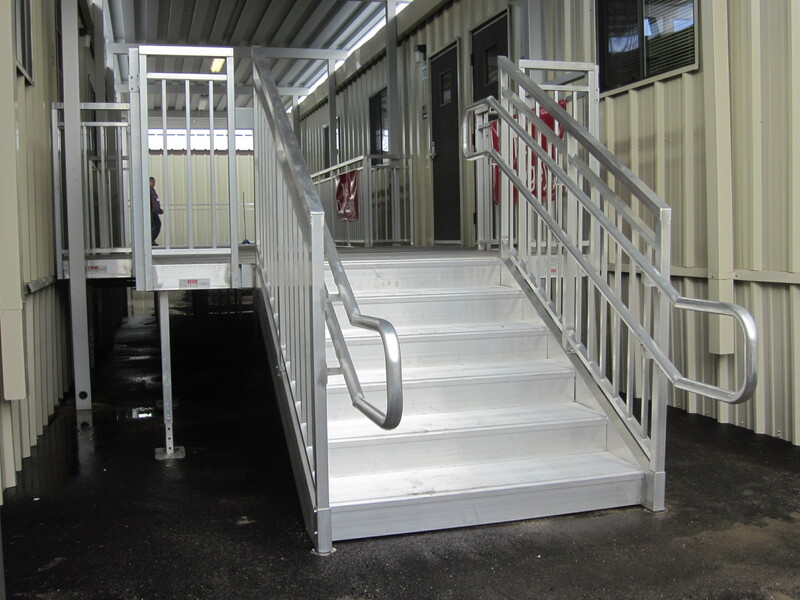 They are perfect for portable building access and ideal for long or short term applications. 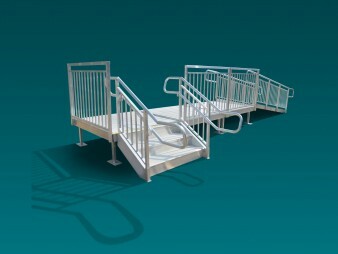 The modular nature of the Universal Stair System means it is easily reusable for a wide range of applications. 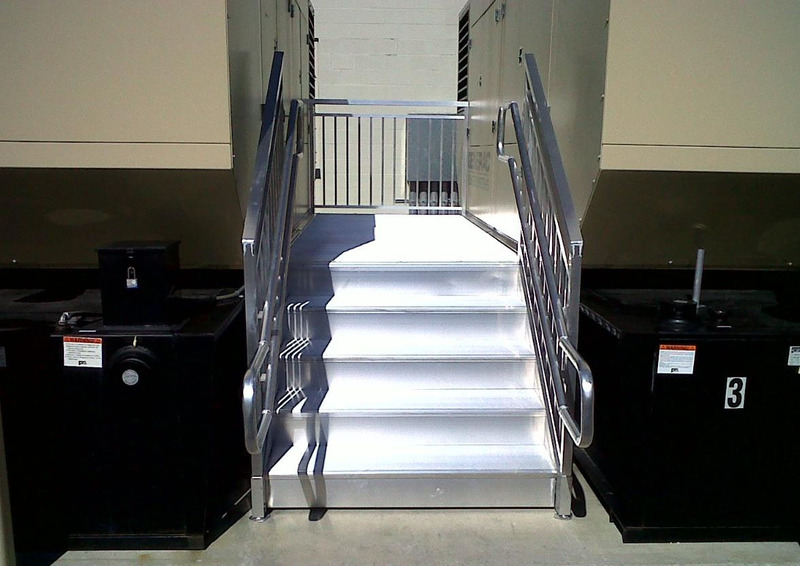 The REDD Team Universal Stair offers complete ADA compliance and access when coupled with its counterpart, the Universal Wheelchair Ramp System. 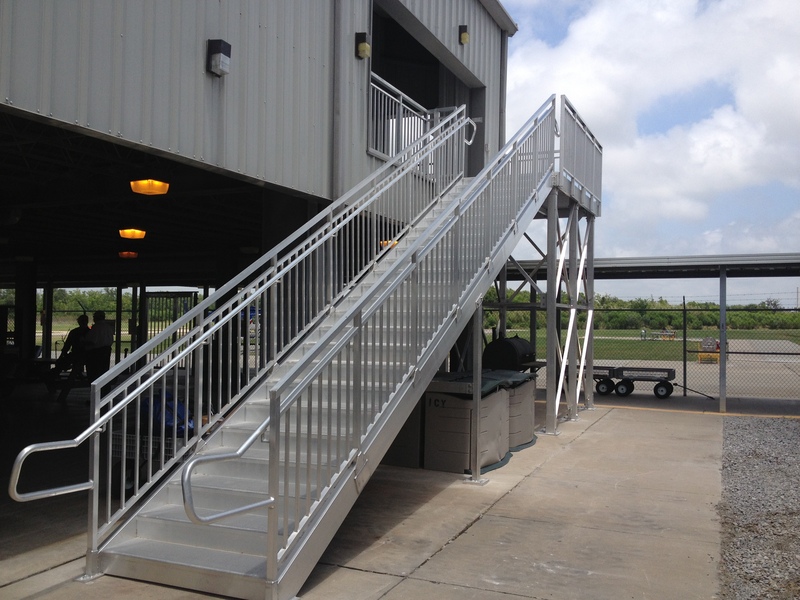 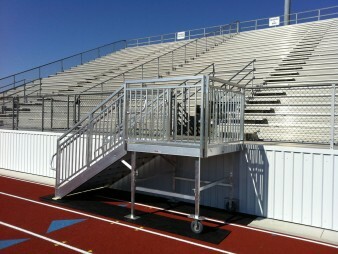 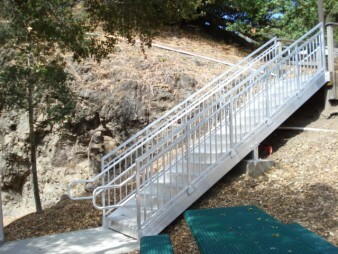 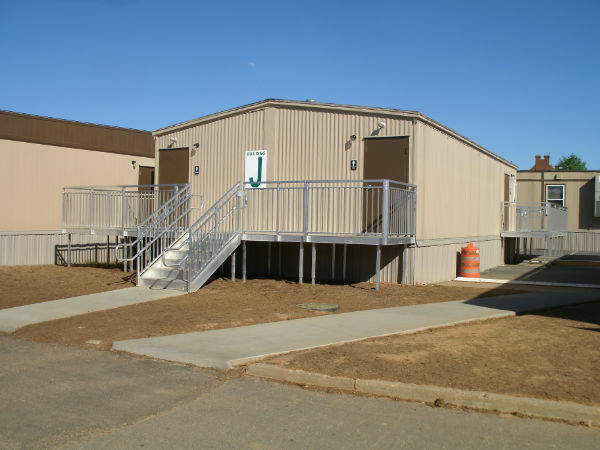 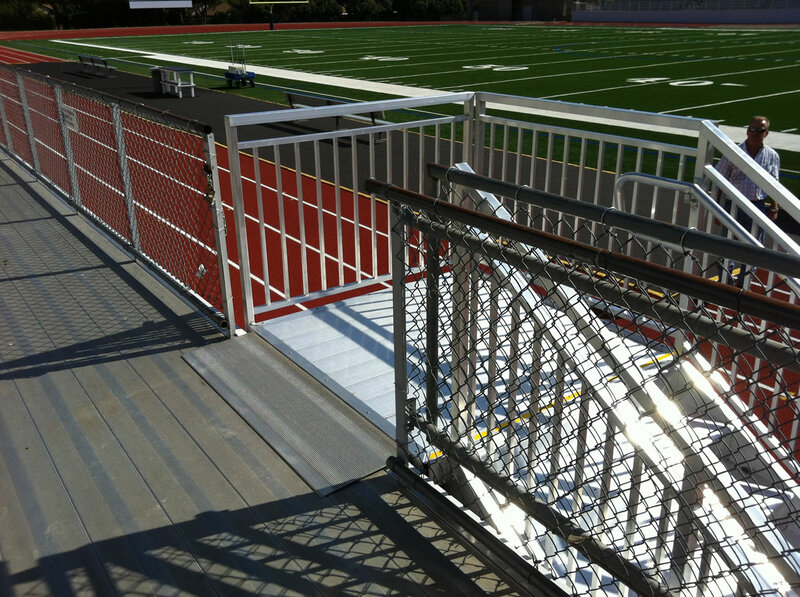 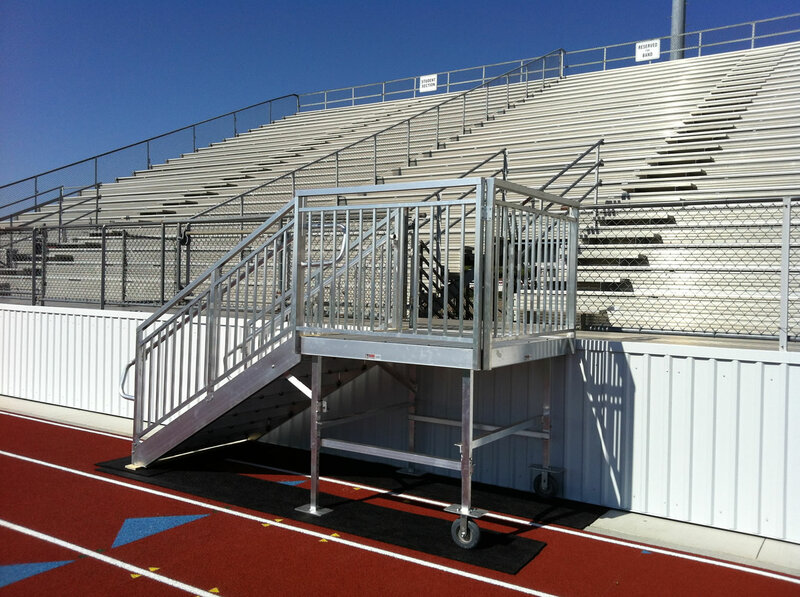 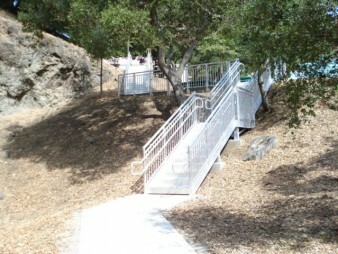 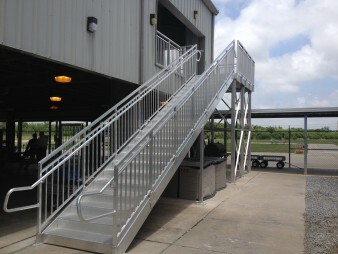 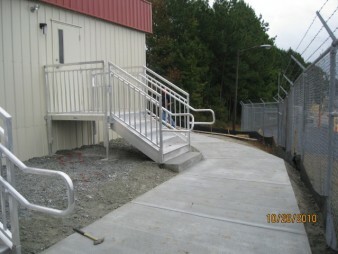 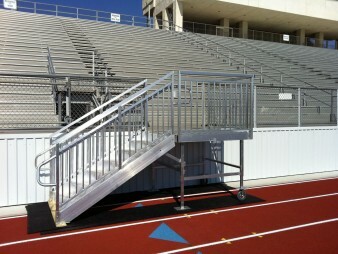 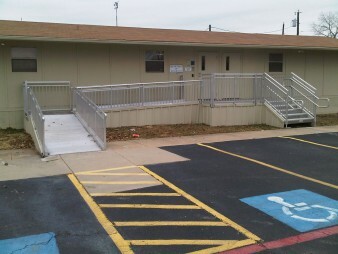 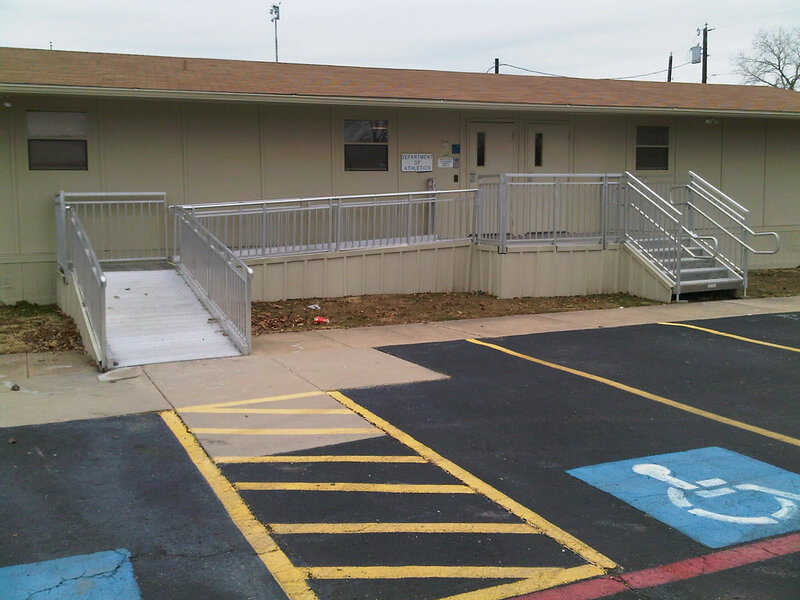 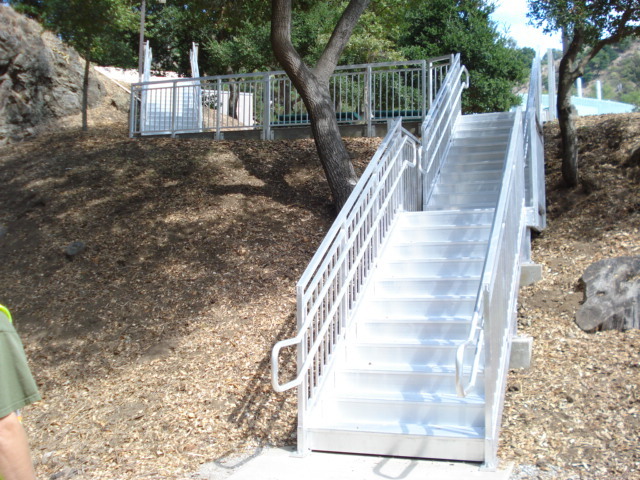 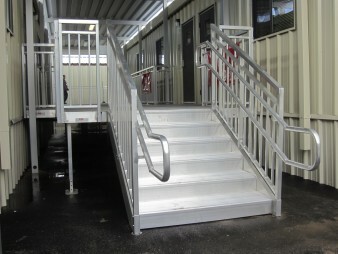 Our aluminum stairs provide ADA and code compliant access to portable classrooms, site built, and modular buildings. REDD Team stairs and railings offer smooth, continuous handrails for ease of use. 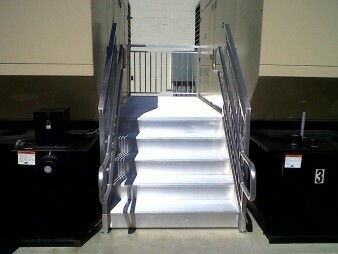 Aluminum stairs are maintenance free and made from durable aluminum for exceptional value over a long life cycle. 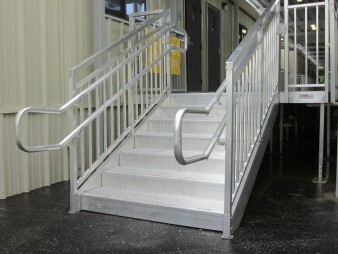 Aluminum is non-corrosive and non-combustible for safety. 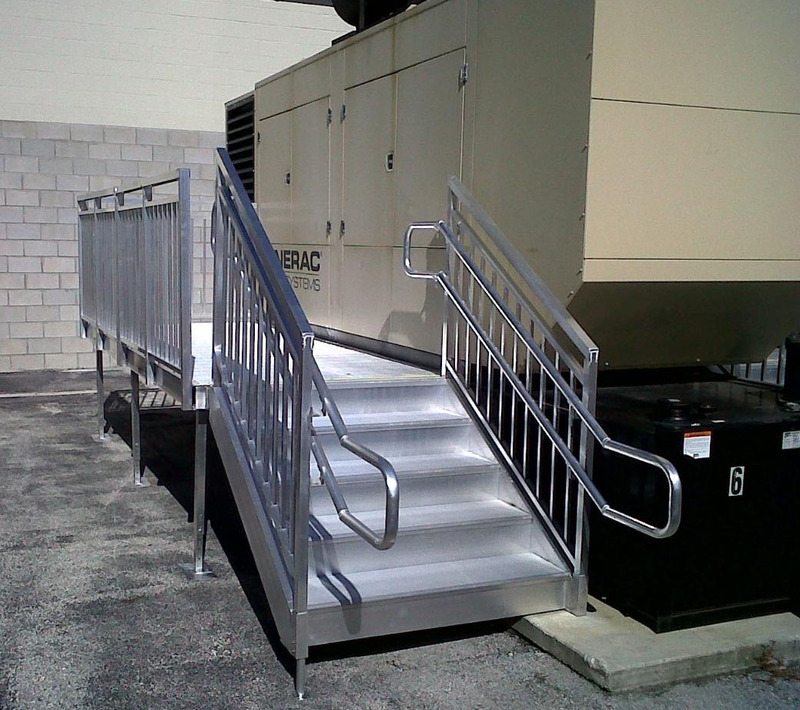 REDD Team stairs are adjustable for versatility in permanent or re-locatable installations. 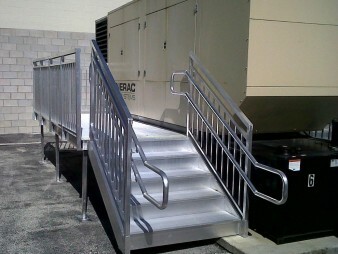 No field welding required– fast and easy installation! The modular design is re-locatable and reconfigurable for the best value in a stair system. 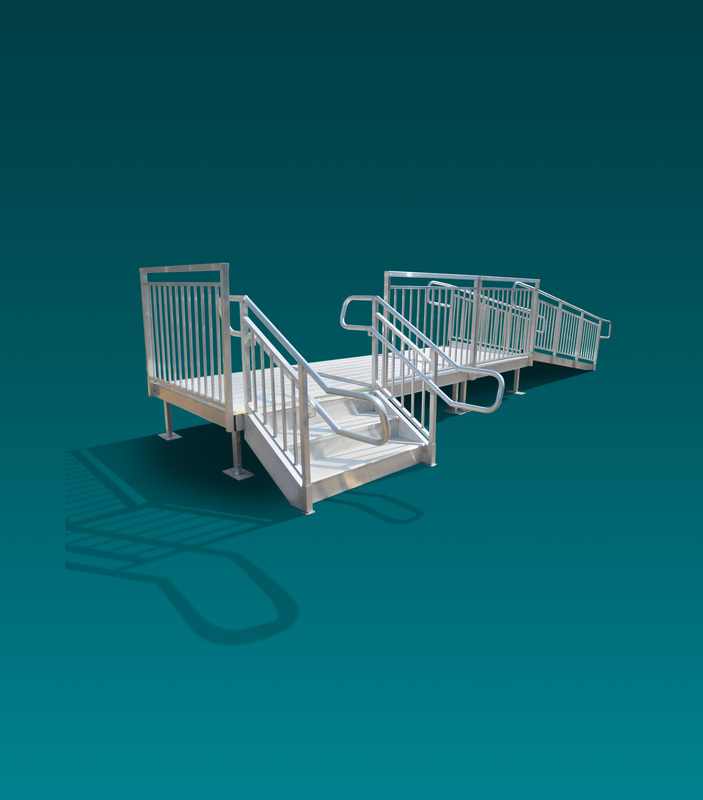 Minimal assembly for fast installation.